J.L. 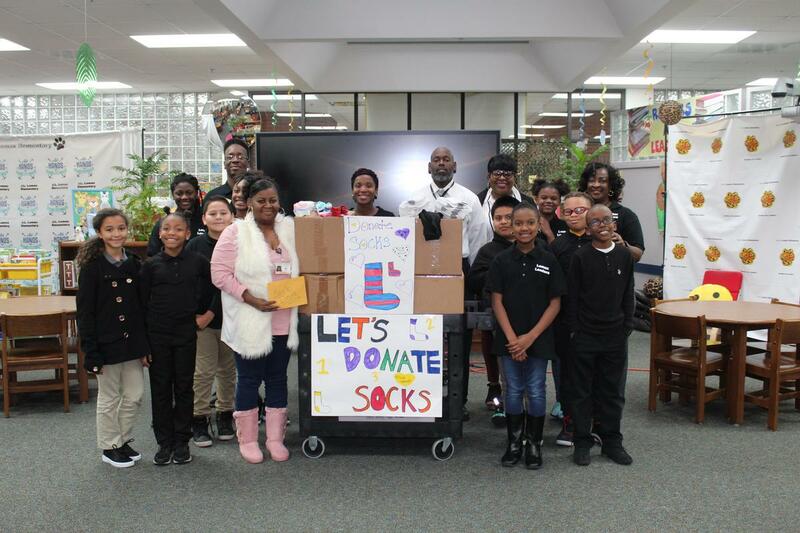 Lomax Elementary scholars are giving back to their community in a big way. It was recently reported that the homeless shelter needed sock donations, one of the few things that they rarely received. When a J.L. 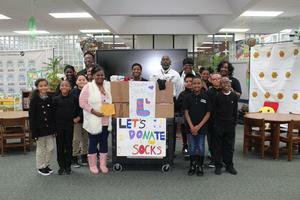 Lomax staff member heard this news the idea of collecting socks at the school came to fruition. Early in 2019, the Lomax Leaders developed signs with catchy slogans and advertised the sock collection drive throughout the school. The student body at J.L. Lomax jumped on board and helped the Lomax Leaders with their drive. In February the class that donated the most socks received a reward. The Lomax Leaders program collected over 900 pairs of socks and donated them to Lowndes Associated Ministries to People (L.A.M.P.). According to their website, "LAMP is a caring community of faith providing for the basic needs of homeless and hurting members of the community.” The J.L. Lomax family and Lomax Leaders were proud to be to support their fellow community members in times of need.